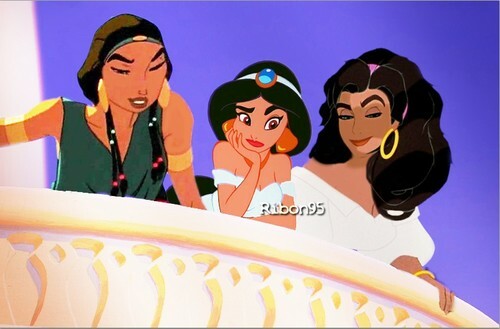 Best 老友记. . HD Wallpaper and background images in the 迪士尼跨界（crossover） club tagged: disney crossover jasmine esmeralda tzipporah. Nice. They're like the ethnic Mean Girls. They look as if they are laughing at some nerdy boys.